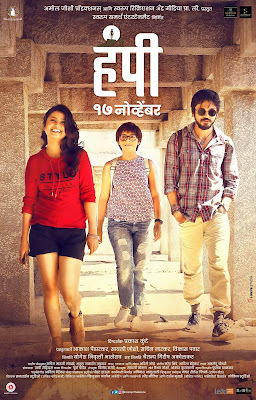 "Hampi (हंपी)" is an upcoming Marathi movie from written and directed by "Coffee Ani Barach Kahi" fame writer and director, Aditi Moghe and Prakash Kunte, this is Prakash 3rd movie as a director. The film stars Sonalee Kulkarni, Priyadarshan Jadhav, Lalit Prabhakar and Prajakta Mali in lead role. The film is been produce by Yogesh Nivrutti Bhalerao and Chaitanya Girish Akolkar under the banner Swaroop Samarth Entertainment and Digital Detox. The film will be releasing in cinema theater from 17th November 2017.